Simon came today to my house to fit 3 doors. I ask for an early morning call as i needed to go to work - he was here at 7am. The quality of his work is excellent and would most definitely recommend him . I intend to use him again. WE had simon of STK come and trim 2 doors after having new carpet fitted he took the time to sort one of them out that wasn't fitted properly in the first place, for the first time in about 10 years we can now fully close the door he also quoted and came back to if a cat flap and also rectified a door in or summerhouse so it now closes. Excellent job very clean and tidy highly recommend. Would like to thank STK for the fitting of our new doors and kitchen worktop and kitchen floor. Superb job would highly recommend . We cannot recommend Simon enough. He fitted 6 internal doors for us. He was very flexible with our weekend request and carried out the work Saturday and Sunday. He is friendly, easy to talk to and his work is top class. A professional trust worthy local tradesman. We will be using him again in the future! Hi Simon, just wanted to say a big thanks for all your hard work, the handrail and posts look excellent and are not even painted yet, and the reinforced stair treads are very sturdy, just what we wanted. I have lost count of the amount of jobs Simon has done for us over the years. He has worked on our kitchen,downstairs WC,shed, bedrooms and porch to name a few and each job has been finished to the highest standard. Simon is obviously a very skilled and clever man and can turn his hand to pretty much anything. I cannot rate Simon high enough in his work, professionalism and personality, and is more of a family friend now than a work man for us. Very efficient & clean worker. We would have him in for any other job's...Excellent service. Very professional. Recommend highly. I honestly don't know where to begin. Sadly over the years I have had tradesmen who quite frankly have been cowboys and so much money has been wasted. However, roughly ten years ago I was lucky enough to come across Simon from STK joinery. Truly outstanding workmanship but more than that - A tradesman who you can trust. A tradesman who is value for money but still with outstanding quality. But more than anything else - a true gentleman. Nothing is ever too much trouble. Never have I, or will I ever come across someone I would recommend more. Simon you really are very highly thought of. Thank you. Very professional job to our stairs. Removed all old planks and replaced with beautiful spindles. Clean job, arrived when he said he would. Brilliant job, would very much recommend. Thanks Simon. "Simon came today to my house to fit 3 doors, I asked for an early morning call as I needed to go to work - he was here at 7am. The quality of his work is excellent and I would most definitely recommend him. I intend to use him again. Thank you"
We would like to take this opportunity to say how very pleased we are with our completely new bathroom. We know that living in a older property a straight forward job never turns out to be that. You have always done a brilliant job and at a competitive price. You always make sure by the end of the day we have water and heating, till the next morning when you come to start again. You always put in a full day's work. Best regards for the future and we will not hesitate to get in touch with you again. We have been using Simon as our carpenter for the past few years for many varying carpentry jobs, and what an excellent job he does. Not only is his work excellent, he is very mindful of any mess while he is working in your home and clears as he goes along. Simon is very hard working and a trustworthy person, you can leave him to it and go to work and he will lock up when he has finished for the day. If Simon says he will be at your premises at a certain time on a certain day, he will be there. Additionally, if he notices other minor jobs that you may not have mentioned he does them; what more could you ask for! Importantly his charges are very reasonable. We have recommended Simon to other people and they have been well chuffed with Simon's workmanship. It is very comforting to find an all-round good, reliable, polite skilled person to do a job, no matter how big or small. “ STK Joinery was recommended to me by a family member who previously used their services to fit a kitchen, I also used them to fit a kitchen and was extremely satisfied with the craftsmanship and professionalism shown, the work they carried out was to such a high standard and was carried out without causing any disruption or mess whatsoever, I would definitely use their services again and would highly recommend using their services for anyone considering have carpentry work undertaken”. “ I have used STK Joinery on several occasions from having a kitchen installed to having a bespoke bar constructed from scratch designed by Simon, I have always been extremely satisfied not only with the work that STK Joinery has completed but also with the pleasant and professional attitude”. 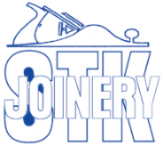 I have recommended STK Joinery to several close friends and family who have all had work completed and all of whom were very pleased with the work and service they received.